Mother’s Day is a big deal – your mother means the world to you. She made you who you are, made your home a home, tucked you in at night, cooked your favourite meals and dried your tears, and her hugs and kisses made you feel like everything would be okay. 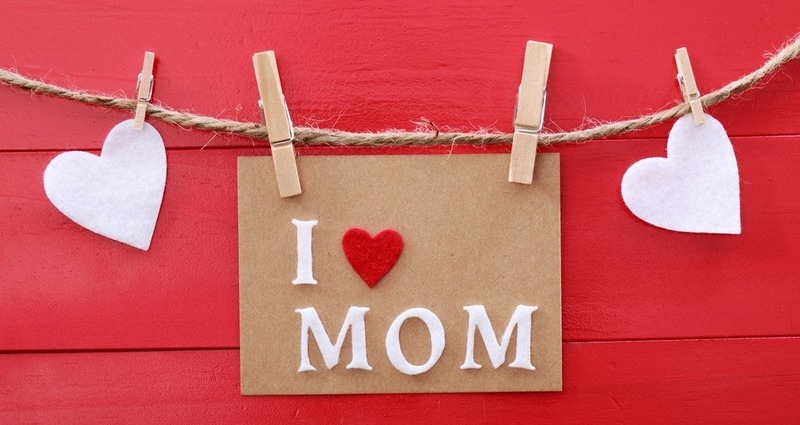 Naturally, you want her to know how much you love her for being your mom and moving mountains for you every day. Every Mother’s Day, the pressure is on to splurge on the gifts, getaways and restaurants, to show mom just how grateful you are. But, trust us, your mom loves you – she really doesn’t want you to get into debt just to impress her on Mother’s Day. Gestures go a lot further than a pretentious restaurant, a store-bought gift or a splashy vacation. It’s really not about how much you spend or where you are on Mother’s Day, but rather about being there and putting in the effort. Here are the top 5 ways to celebrate Mother’s Day on a budget and spoil her rotten, without breaking the bank. Serving up a home-made meal prepared from scratch will make your mom feel a lot more cherished, than if you just went to a restaurant, and got waiters and chefs to do all the hard work. After all, how many times has your mom slaved over a stove for you? It’s your turn! A nice idea is to wake up early and cook up a delicious brunch for mom and the whole family to enjoy together. Lay out a decadent spread of baked goods, eggs and bacon, fruit salad and freshly-squeezed juice, or even better, mimosas – your mom’s earned it! A decorative, colourful table, groaning with a fragrant, mouth-watering feast and fresh flowers will never disappoint. A classy, home-made Mother’s Day brunch is far preferable to a noisy, over-priced restaurant. Stay within budget by picking your own flowers, making your own table decorations and getting each family member to chip in with a different dish or ingredient. Malls, movie theatres, restaurants – you name it, they’re all packed to the rafters on Mother’s Day. And what mom wants to spend her Mother’s Day standing in queues, jostling with throngs of strangers to get her seat, ticket or just some popcorn? A snug move night in is a treat compared to going out, not to mention far easier on the budget. Make it special by preparing an array of your mom’s favourite snacks, opening up a bottle of wine, and cosying up the couches with blankets and pillows. You don’t need a gigantic screen or surround-sound for it to be a fun, memorable night of laughing, bonding and feasting. Ask your mom for a list of her all-time favourite movies and download or get these from a movie-buff friend for the evening. A relaxing movie night in with family, where mom can put her feet up and be waited on hand and foot is just the ticket. Both your mom and your budget will thank you! This may seem like the least you can do, but a day off from running the household for even a day will be utter bliss for mom. Taking care of a home and a family is a full-time job and an exhausting one at that. Any mom will tell you, a break from the household chores is as good as holiday. To make sure she doesn’t worry needlessly, ask her to write down everything that needs to be done or what she does on a daily basis. Then get to work – it will really open your eyes to all she does for you! Get the whole family involved, assigning them each a duty to ensure that the home is run like a well-oiled machine. So mom can get into full relaxation mode, kick back and do as she pleases, without a care in the world. A little elbow grease will spare your budget the usual blow it would take come Mother’s Day. Moms are often too busy taking care of their family to take care of themselves. Why not pamper her this Mother’s Day? An at-home massage, pedi or mani will make mom feel like a million bucks. Spas take a heavy toll on the budget. Instead, you can make your mom some luxurious home-made facial masks, and conditioning hair treatments from everyday ingredients. You can find an array of edibles that do wonders for the skin and hair in your own pantry. Coconut oil, olive oil, honey, lemon juice, yoghurt and even eggs are just a few products that leave skin and hair silky smooth after application. Be sure to get her to lay back with a cocktail and cucumber slices on her eyes, while you pamper your mom like a pro! There is nothing quite like a family braai day in your own backyard. Best of all, mom won’t have to do any cooking! Dad can do the braaing, so mom can take a load off and enjoy her special day. Invite all of your relatives and get them all to chip in by bringing a side, dessert, snack or beverage. You will all save money this way and the burden of preparation will be shared. It’s the South African way to celebrate that special lady in your life – your good, old mom!